The Outlander PHEV stands for Plug-in Hybrid Electric Vehicle and is known for it’s fuel efficiency – 1.9 Litres per 100kms. With the introduction of the Electric Highway you’re now able to charge your car in Mandurah, Bunbury, Busselton and Margaret River. Future works means that stations will be placed from Perth to the South-west. – Brake towing capacity of 1,500kg at a maximum 12% gradient. 4.2 Inch colur LCD screen shows you how much Battery and fuel you have left. Outlander PHEV’s CO2 emissions are also super low at 44 gm/km. 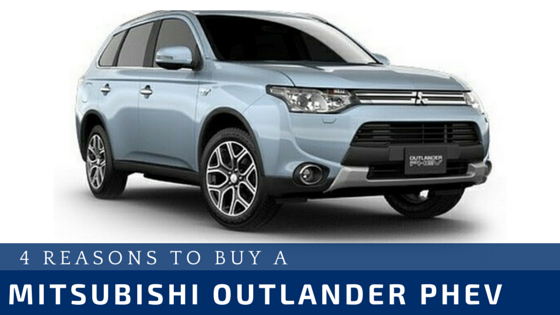 On sale since March 2014, the Outlander PHEV is the first of a new generation of Mitsubishi products to feature its advanced Plug-in Hybrid Electric Vehicle (PHEV) propulsion system. medium-sized SUV practicality, four-wheel drive capability and starting price of just $47,490 recommended retail, the Mitsubishi Outlander PHEV heralds a new era of affordable, user-friendly electric cars. Call us today for a test drive 1300 269 930 or visit at 49 Shepperton Road, Victoria Park, Perth, WA .